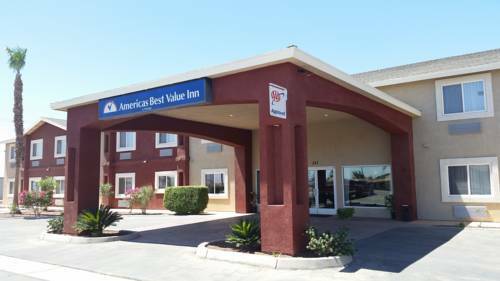 Welcome to the Americas Best Value Inn of Westmorland/ CA *Gateway City to the Imperial Valley*. Westmorland is located in the fertile Imperial Valley in Southeastern California/ a small residential community that sits along state Highway 86. Westmorland is 12 miles south of the Salton Sea/ 87 miles southeast of Palm Springs/ 122 miles east of San Diego/ 192 miles southeast of Los Angeles/ 261 miles west of Phoenix/ Arizona/ and 31 miles north of Mexicali/ Mexico. Come enjoy many points of interest and recreational areas within a short drive of our hotel including ATV riding in Glamis/ golfing/ bird watching at the Salton Sea/ and exploring our diverse desert area. Our 100 percent smoke-free- newly renovated interior corridor property offers 48 Guest Rooms and 2 Suites. All of our Guest Rooms and Suites are equipped with / Microwave/ Mini-Fridge/ Coffeemaker/ Cable TV with HBO/ Hairdryer/ Iron/ Alarm Clock/Radio/ Complimentary Local Calls/ and Wakeup Service. Two Suites have Jacuzzis. Guests can stay connected with our free high-speed wireless Internet access in all guest rooms and public areas. We also offer a complimentary hot breakfast. Enjoy our Heated Indoor Pool/ Spa and fitness center. Our Front Desk and Lobby are staffed 24-hours for your convenience. Copy and Fax Service is available in the Lobby for a minimal charge. Pets are allowed charges and restrictions apply. Our friendly and professional staff invites you to come and enjoy the value of staying with Americas Best Value Inn. The Americas Best Value Inn is conveniently located off LA-10 east past Palm Spring 78 east/ off left side of Highway 78. Our address is 351 W. Main Street/ Westmorland/ CA 92281..
Fruit collecting guy went bananas, then Fred Garbutt bought the collection and became its worthy successor. He opened the museum next to his family's liquor store in November 2012. Another big Indian head carved by Peter Toth, next to an unusual dwelling.